High-def update due out on Japanese PlayStation Store this month. 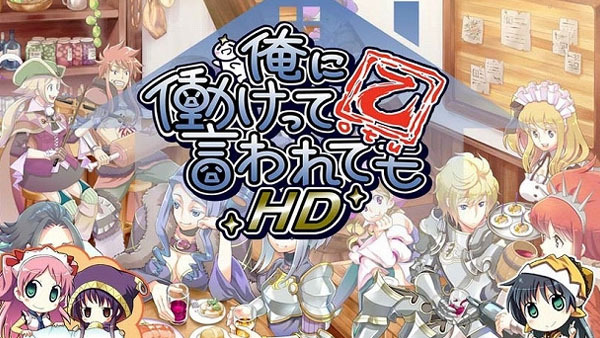 Developer e-Smile is bringing Ore ni Hatarakette Iwaretemo Otsu—its PSP dungeon RPG where you’re an unemployed protagonist who gets others to do his work—to PS Vita, the studio announced. And it’s out very soon. Ore ni Hatarakette Iwaretemo Otsu HD will be available in Japan on March 26 for 1,500 yen (tax included). The PS Vita update includes high-definition visuals, improved load times, an on-screen (touch) start button, new sprites for mixed jobs (delivered as free DLC), and a new feature where you can take photos with Lilium (30 frames available). The game includes over 50 dungeons, 25 adventurer classes, and 1000 items. If you’ve already purchased the PSP version on the same account, you’ll get all of the game’s paid downloadable content free. You’ll also get an add-on set with the following in-game materials: Tungsten x5, Adamant x10, White Metal x15, and Drill Gem x100.